These pages have been set up for those wishing to purchase narrow gauge equipment. There is no charge for this service. Mail us with any items you wish to be advertised. 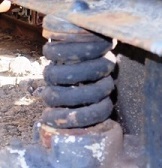 One RNAD wagon suspension coil spring wanted. Can be arranged in part-exchange for two RNAD wagon ends (see "for sale" section). Please contact James on the address opposite for more details. Small coal tub plus section of track required. Russ belongs to a small charity in NE England looking for a coal tub and small section of track as a centrepiece for a memorial to miners killed in a nearby coal pit which closed in 1961. If anyone has any equipment that fits their requirements please contact Russ on the address opposite for more details. 2ft Gauge Diesel Loco required. Boothbay Railway Village is looking to purchase a diesel loco to assist with passenger hauling operations on their railway. They are looking for a loco of approx 12 tonnes as backup to their two steam locos. They would consider importing for the right equipment. Contact Tom on the address opposite for more details. Twyford Waterworks Railway is looking for further narrow gauge wagons to join their collection to form part of a new display telling the story of the use of narrow gauge in industry. 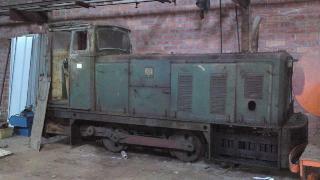 The running line is 2ft gauge, but all gauges considered, and either purchase or on loan, unrestored or restored. Contact Graham on the address opposite for more details. Twyford Waterworks Railway requires two or more 20lb/yd 2ft/60cm gauge points to create a new display area adjacent to the Lime Kiln Railway. Either hand, any radius, and any condition. Please contact Graham on the address opposite. Jonathan is looking for a Ruston and Hornsby 3VSO/3VSH engine to replace the engine in his 1938 Ruston loco, If you can help please contact him on the address opposite. Sam is looking to source a set of 2ft gauge Simplex 40s wheelsets. Please contact him on the email opposite if you can assist. Due to theft, Tony is searching for a replacement radiator cap and rocker covers for his Ruston 48 loco. If anyone can help please get in touch with Tony on the email opposite. WANTED OR EXCHANGE: 2ft 6" gauge wheelsets for Ruston LHT. The Ruston in the picture is a type LHT (No.305326 of 1952/3). It is currently 2ft 2in gauge, and needs to be 2ft 6ins. Does anyone know of any existing wheelsets for this type of loco already gauged at 2ft 6ins, and would be willing to exchange or sell? Please contact Roger on the address opposite.